Are you caught up in the alluring simplicity of a minimalist lifestyle? 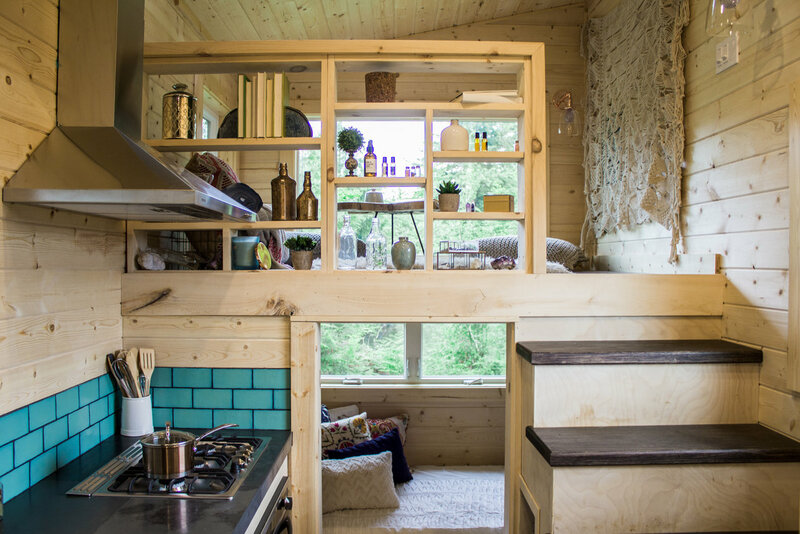 Those who make the jump to “tiny living” realize many economic advantages, as well as feel good about what they’re doing for the environment by owning a home with a smaller environmental footprint. While sizes vary, many tiny homes are around 2.4 x 5 square meters in area. They usually contain a living area, sleeping loft, kitchen and bathroom, and are built to be easily moved by a trailer. But as you consider moving into your own tiny home, you’ll realize you've been living in 1,700 square foot single family "American Dream" homes your whole life. The three bed/two bath plot plan is all many of us have ever known. How can you make the most of this reduced space without sacrificing your standard of living? Living in a small space doesn't have to mean being uncomfortable. Just read up on some of the following small space hacks to optimize your tiny living interior and create the relaxing haven you want it your tiny home to be. Use your walls to store objects vertically from peg boards or steel mesh. You can mount anything from kitchen utensils to house plants on these vertical surfaces, as well as stuff junk mail into hanging pouches or file boxes. The more items you can hang on the wall, the less clutter there will be there will be on your horizontal surfaces. RV's have been doing this for years. The style is called the wet bath. A wet bath is an all-in-one toilet/showering unit combined to offer the features of a regular bathroom, only in a compact space. Multi-tasking is the name of the game for furniture in these tiny spaces. Be sure to choose pieces that can be used for more than one purpose. Before you buy it, ask yourself "can that new writing desk double as a dining table?" Small space living inevitably includes either one or more styles of fold-down desks or dining tables. These flat surfaces are mounted to the wall with a locking mechanism to keep it in place. When the meal is done, or the bills have been paid, the desk/dining table gets neatly folded back against the wall to free up more space. The best way to furnish your new tiny living home is to design it carefully. Remember that small space living means reduced storage areas, so think about the household items you use the most and strategize your layout with them in mind.. Consider hanging your lighting from the walls to minimize clutter on table tops as well. When choosing your furniture, be sure to opt for the versatile pieces. Ask yourself, "Could I use that coffee table as a bench when extra guests come over?" For more small space living ideas, click around on our website for inspiration on how to live big in a tiny house. Contact us today and we'll show you how to have the cozy and stylish home of your dreams.